Classic Shoulder Wedding Veil. 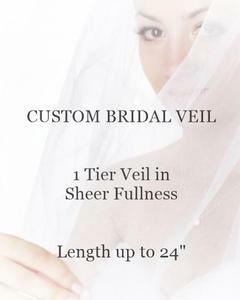 This shoulder veil is a simple wedding veil that can compliment almost any gown. This classic shoulder veil is sheer and features our standard cut. It is timeless and elegant for a flawless look!